Today, Microsoft has finally announced the death of the Marketplace for Windows Phone as they announced a new site and ‘Store’ coming soon. So it is goodbye Windows Phone Marketplace and hello Windows Phone Store. 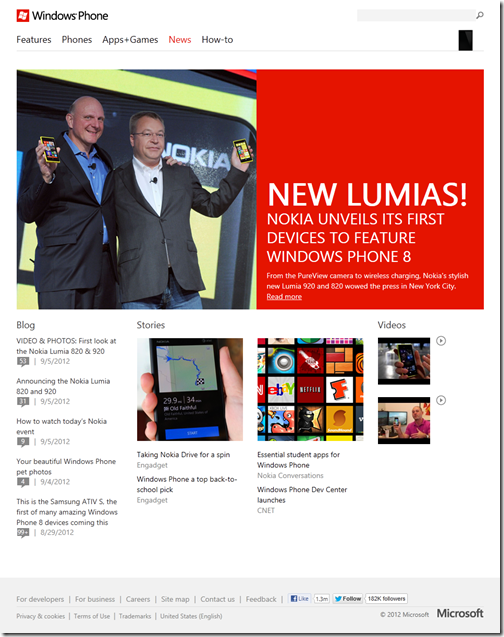 Microsoft also announced a news section which will be available on the website which shows… news from other WP sources. The website will also feature some cool ways to browse and find the apps you want/ need. You just gotta love that Windows Phone 8 goodness on that spotlight page. Find apps even if you make spelling mistakes or typos—for example, “Facebok” instead of “Facebook”. Find similar apps more easily. For example, type “guitar” and you’ll see relevant apps even if they don’t have “guitar” in the title.